As a busy college student, time for cooking elaborate, healthy meals is hard to find sometimes. Between school, work, and interning, sometimes I need a quick meal to fill me up and fuel several hours' worth of activity. To do this, I often turn to frozen meals, which often have less than stellar nutritional and taste profiles. They're quick and easy, but less than satisfying. 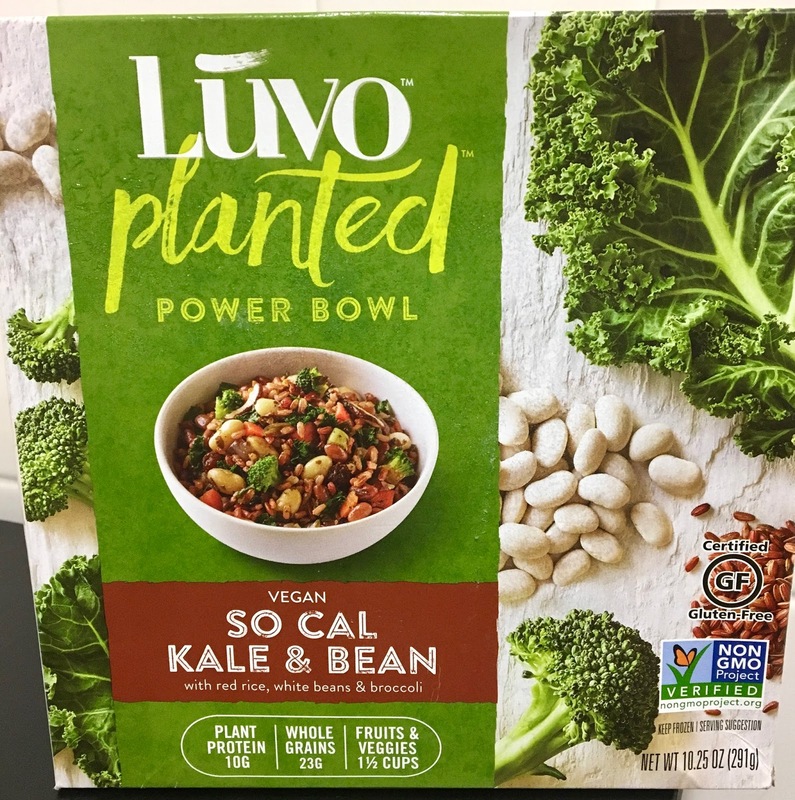 However, when shopping at Mom's Organic Market, I discovered a new-to-me brand and product that promised to be a solution for my healthy eating on-the-go dilemma: Luvo's planted power bowls. These bowls are 100% vegan and gluten-free, containing an impressive amount of plant based goodness in their seemingly small size. 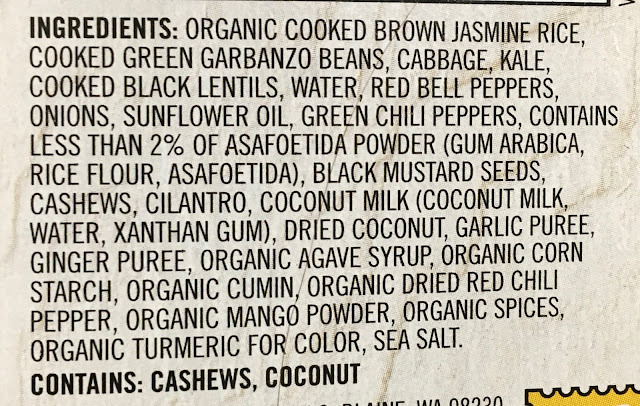 Both bowls I tried pack plant-based protein, and reading their ingredient lists is refreshing, as every ingredient is both readable and recognizable. Could these frozen meals buck the frozen food stereotype and be both tasty and good-for-you? I had a sneaking suspicion going in that they would easily pass both standards. All four of Luvo's planted power bows are certified gluten-free by Beyond Celiac (see more about gluten-free certifications here). They are verified non-GMO as well. Beyond the food itself, Luvo is thoughtful about packaging too, as it is 100% recyclable, BPA-free, and printed with soy ink on responsibly sourced paper. 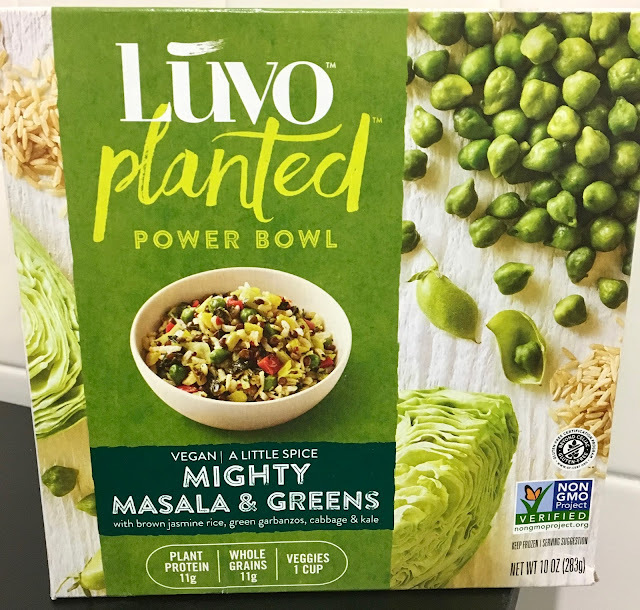 Looking deeper at the ingredients, Luvo has partnered with Lotus Foods to incorporate their whole grain rice into each bowl. Lotus Foods utilizes technology to use less water and almost no chemical additives when growing the heirloom, Fair Trade rice. I only tried the mighty masala and so cal kale and bean in my initial review, but definitely will plan on including the great karma coconut curry in an update when I find it in stores near me. The Hawaiian un-fried rice contains pineapple, which is one food I absolutely do not like so I will pass up on that bowl indefinitely. 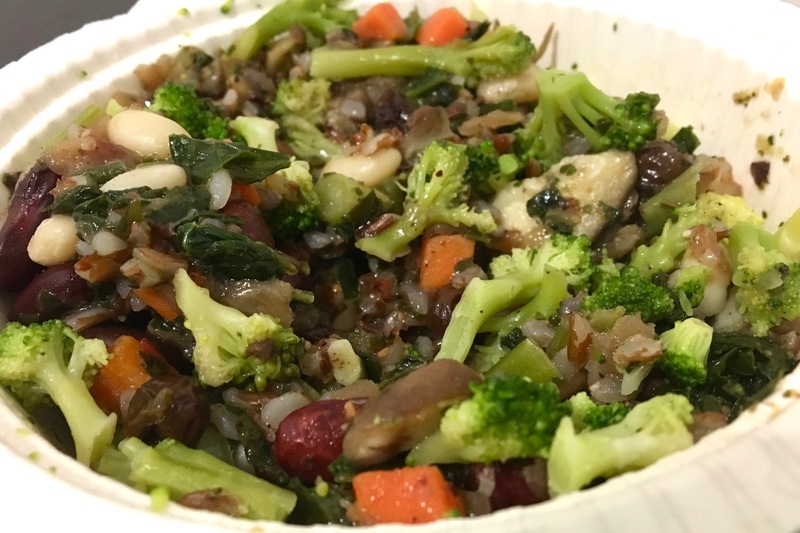 This bowl is hearty and chock full of vegetables (broccoli, kale, mushrooms, carrots, and onions). White and red beans provide the protein, and the the ingredients sit atop a bed of red rice. The flavor here reminded me of a crock pot stew, it was rich and complex-- hearty and satisfying. It is not spicy at all, but seasonings such as pepper, cumin and garlic enhance the natural flavor of vegetables. 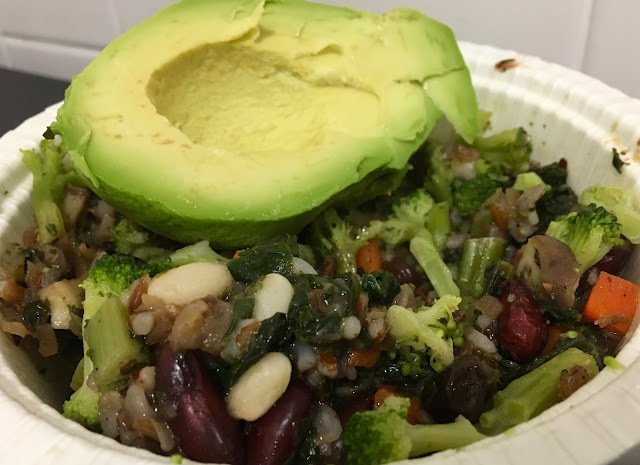 I added an avocado half on top for added healthy fats, which worked well with the bowl's flavor and ensured that I would be full for several hours after my meal. 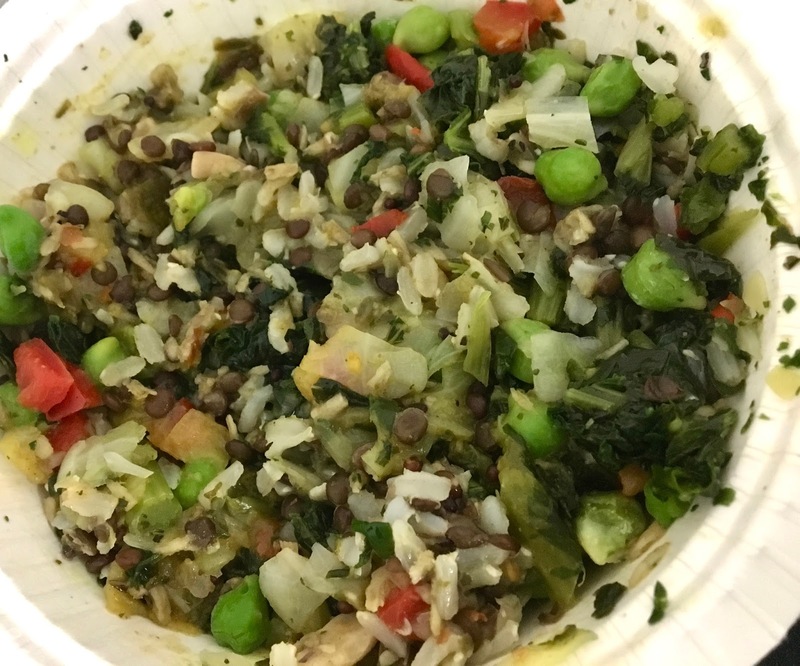 I really liked the So Cal kale and bean bowl, but I absolutely loved the masala greens bowl. With a rich, spicy coconut milk-based sauce that had a sublime curry flavor the bowl was warming and comforting on a chilly, rainy day. Garbanzo beans, kale cabbage, black lentils, and red onion provide the majority of the vegetables, and are presented atop jasmine rice. The bowl doesn't pack heat but does have a complexity that I was not expecting from a frozen meal. Although the bowl was filling, I didn't feel weighed down, which is ideal when you are looking for a quick fix meal that will provide energy and satisfaction. Both meals earned top marks from me, and were great ways to get more plant-based protein and vegetables into my diet. 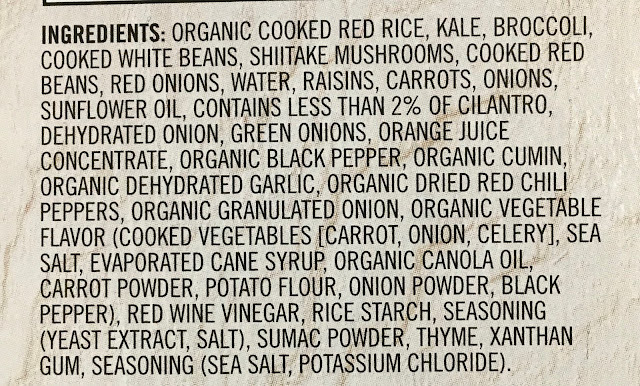 It's really hard to get a diverse array of vegetables when you have limited time for cooking, so these really do bridge the gap for my busy lifestyle. 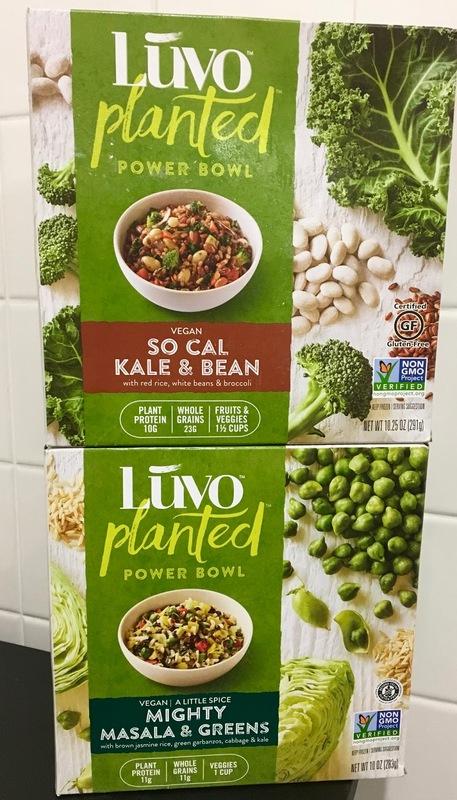 Both bowls had great flavor profiles and cooked up to a perfect temperature- no soggy vegetables or pools of water that so often appear in other microwavable frozen foods. 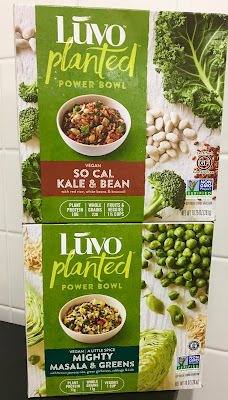 I know I will be stocking my freezer with these bowls, and will look forward to nights when I can come home and enjoy a restaurant-quality meal in my own apartment. Disclaimer: This review is current to the original publication date. Updates will be noted. 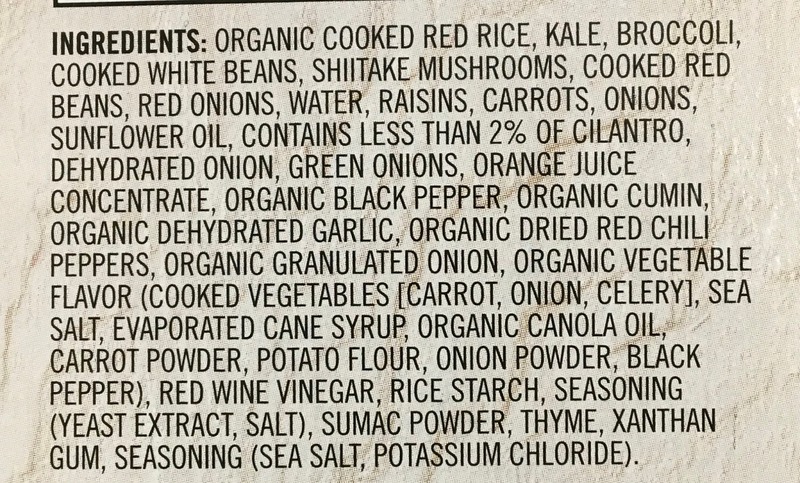 Ingredients and manufacturing processes can change without notice. Each product should be reviewed for individual nutritional needs. Feel free to to contact me with any questions or comments. I purchased the above products independently and was not compensated for my review. Thank you so much for sharing your thoughts! We really appreciate it! I just had the Masala and Greens and I have tried the Curry. They are both terrible! There is hardly any flavor and is just all around gross. I could make a way better meal than this and it would be even healthier! Hi Zone 9. I totally respect your opinion- everyone likes different things! Thank you for checking out my blog. I like these a lot too, My favorite is the Hawaiian Un-Fried Rice. The Pineapples give it a somewhat sweet flavor.